During visits to dozens of educational institutes and research centres in the course of The Life of Science project, Aashima and I have witnessed several cases where the infrastructure and technology on campus do not address the basic needs of some sections of students/employees. Workspaces and educational spaces must be designed keeping in mind the needs of all kinds of people who use them. Similarly, so must technology. 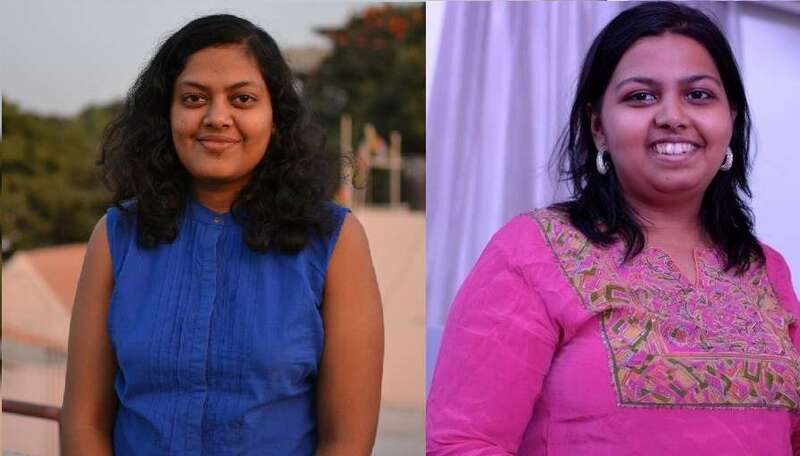 In March this year, Bengaluru-based technologist Chinmayi SK, founder of The Bachao Project teamed up with peers Rohini Lakshané and Willow Brugh to create a manual that can enable a systematic change towards mobile and web platforms that are inclusive. “Building Technology for Diversity and Inclusion 101” was born out of Chinmayi’s increasing realisation that technology is not immune to biases of society. Chinmayi points out the interesting example of air-conditioning. Early air-conditioning standards did not consider the fact that the set temperatures were often too cold for women because in those days there weren’t that many women in offices anyway. Another historical example of non-inclusive technology is the case of photography. “Photography was a hobby of the privileged. Photographic plates in the early times were designed for fair people, so dark skinned people ended up getting ghosted out,” Chinmayi notes. Representations of different kinds of people at the workplace may have improved significantly, but the design and planning of technology have not necessarily caught up. I caught up with Chinmayi to find out more about the genesis of this manual and what its creators are envisioning it to be. Inclusion in design and planning has been advised before but this is the first time I’ve seen it being put in a practical way. How & why did you decide to make a manual out of this? I decided to do this manual based on my experience working with technology. While there has been a lot of talk about building for inclusion, when people do so, they rarely propose solutions. That is because very few people understand the intersections of technology and gender. There have been practitioners who have been working on parts of the process in pockets but it has never been put together as a document. When it is so, unless you are keen, it becomes hard to learn these methodologies. This manual is an effort to simplify that and help more people learn the nuances of building for inclusion. This is a very broad topic to talk about and is complex to put together all at once. Also, we recognise that this evolves over time. This is the first version of the manual and we will be building this over time. How aware do you think Indian companies are about the need for inclusive design? There is a gap in the needs and technology being built. There is talk of inclusion but more often it’s just tokenism. There are very few who are designing with everyone in mind and even fewer implementing it. In fact, most of our technology infrastructure in the country does not have inclusivity. This manual is an effort to help more people learn the nuances of building for inclusion. Are you optimistic that an approach like this manual will make companies more open to changing the way they work? Creating a manual is a start but will not be enough. We need to constantly talk about this and keep examining of our methodologies of building technology. The industry needs to include different viewpoints and for that, it is important that they have diversity in their teams and instead of pushing technology top-down, it needs to co-create it with people. Signs that certain categories of people have not been kept in mind while planning are everywhere (the AC example, tables in schools designed for right-handed). Have you ever encountered/witnessed such problems in your professional life? My colleagues and I have come across several issues during our work. One of my favourite examples is the safety apps. Everyone builds these apps without looking at what infrastructure is needed to support it. Most often these apps are built by men who don’t even understand the needs of women. Another favourite example of mine with respect to accessibility is that none of the apps including the most popular taxi apps can be used by visually impaired. Do you think that the way technology & software is taught to students in colleges needs to change for such intersections to be acknowledged? Do you have any ideas about what the gaps are? Yes, there is a huge gap in the way we teach technology and software to students in our colleges. Unfortunately, we don’t teach intersectionality in our education and honestly, empathy is very essential for today’s technologist and also ethics is very important. Both of these are missing and technology is taught as a science when in fact we use math to create a sort of art. Our approaches need to change if we want to build unbiased and inclusive systems. Empathy is very essential for today’s technologist and also ethics is very important. What kind of response have you received and from whom to your manual? We have presented this manual with digital rights organisations, developers and funders for now. The recommendations from the manual were included in the UNHCR document of ways to bridge the gender gap. Also, it is being referenced by Roots Lab an Oxfam initiative in Lebanon and by the Open Knowledge Foundations Prototype Fund diversity edition. Everyone who has spoken to me after attending my session at Internet Freedom Festival and otherwise has told me that they have gained at least a few new perspectives on building technology. The approach that the manual takes in terms of addressing all the steps of software development was hugely appreciated by everyone. Is this a global problem or are there any aspects that are specific to India? This is a global problem. There are things specific to India too but we have not gone into the details of that in this manual – we hope to address that in our future work.